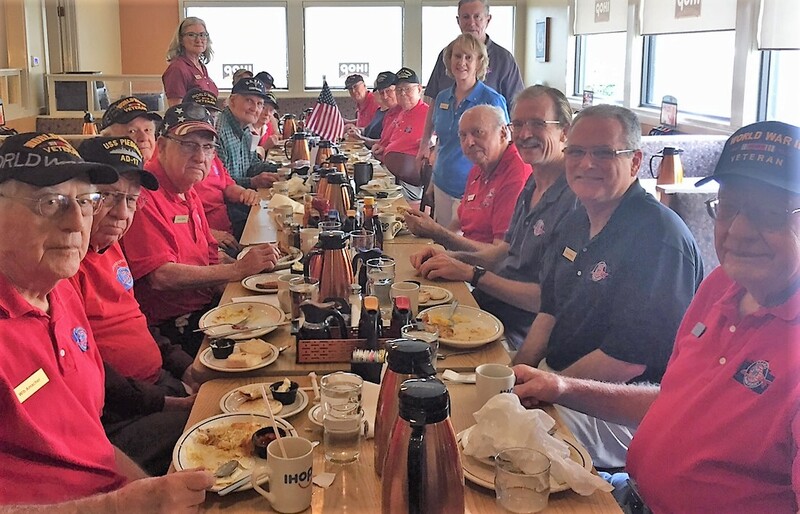 On June 13, 2016 the Alamo Honor Flight WWII Veterans met at the IHOP in New Braunfels. CLRW President Jeanne Slupik along with Star & Sandy Carey were in attendance. CLRW members collected money at our May meeting to buy their meal. Canyon Lake met for breakfast at Granny D's in Canyon Lake. Following breakfast, the group took a short trip to the “Carey Wildlife Preserve” to view the new 15’ x 25’ American flag recently installed on a 60-foot pole. 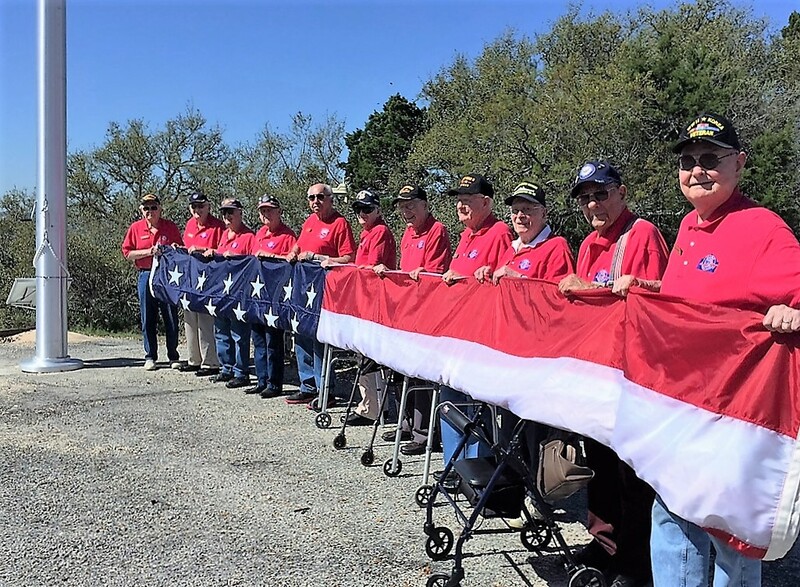 While there, the Veterans were invited to hold the flag, then turn the crank and raise it. As you can see, the Veterans stood proud!!! Both Star & Sandy, former Alamo Honor Flight Guardians, are huge supporters of the program.